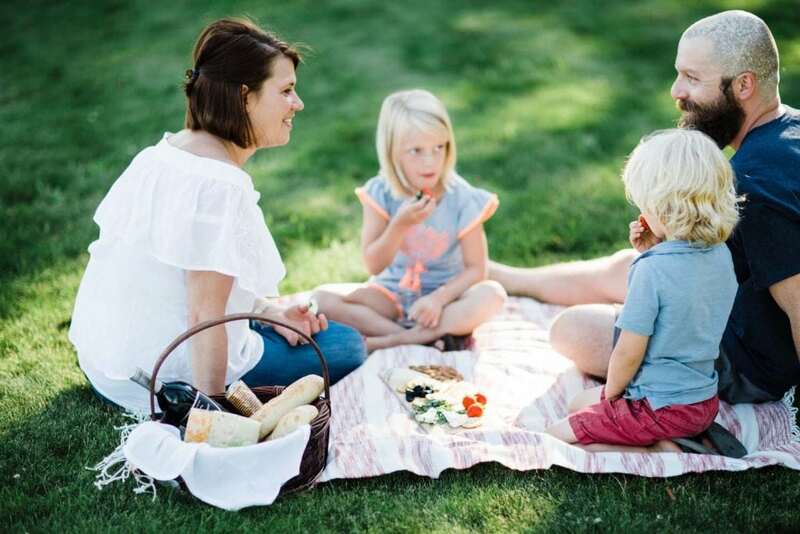 Picnics are some of my favorite summer (and late spring + early fall) activities. There’s something special about sitting in the grass by the lake, enjoying food and wine that just melts away stress. But sometimes it can be tricky packing various cheeses, cold cuts, veggies, dried fruit and the like without packing a whole mini fridge full of food. That’s why I like prepping all the foods ahead of time and placing them on a Cedar plank. It looks pretty and it’s practical. So here is my easy “how-to” for making the perfect picnic platter on a grilling plank. Make sure to have a large enough plank to pack full of your favorite snacks. I normally use a 7x15″ Cedar plank. There are lots of components to a picnic platter, but here are some of my must-haves. First and foremost, you will need cheese. And lots of it! I really like Brie, Gouda and Fontina. Slice into little pieces. I like having a balance of both fresh and dried fruit. For your fresh fruit, it will depend on what’s in season, but some great options include strawberries, grapes, peaches and blueberries. For the dried fruit, I like dried figs, apricots and cranberries. In my philosophy, every good meal has some sort of carbs. I love all things bread-y, so for my picnic platter, crackers and slices of baguette are a must. If you are gluten-free, you can substitute gluten-free crackers (which most grocery stores carry nowadays). Nuts like almonds, cashews, or even peanuts, can add a nice crunchy texture to your array of picnic foods. For a pop of color (and also a great addition to cheese on crackers), I like to add microgreens (such as arugula). They’re small enough to add to the platter and add a nice fresh element. 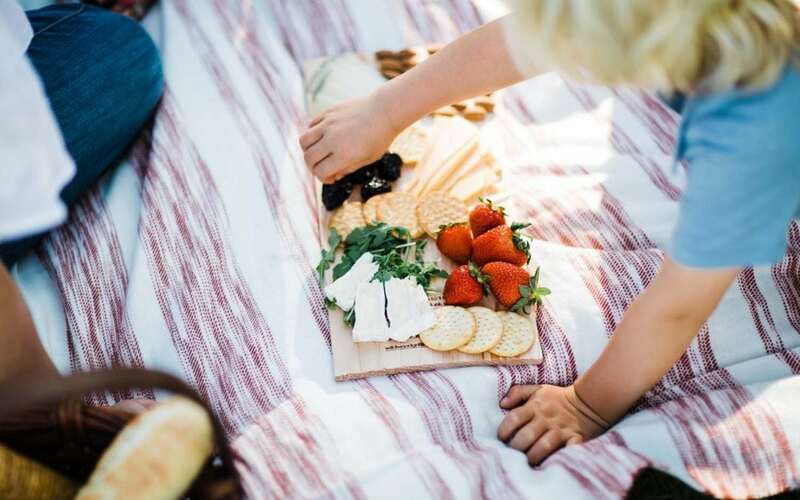 After arranging all of my favorite snacks on the plank, I simply use some plastic wrap to hold it all in place and add it to my picnic basket, along with a nice bottle of wine and a baguette. Just be careful. 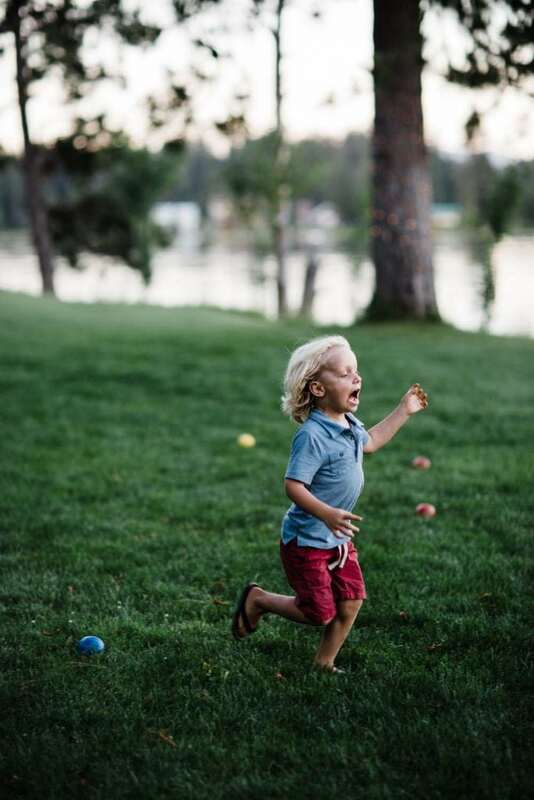 After all that food, your little ones will have lots of energy, so don’t drink too much of that bottle of wine. You’ll have to keep up with them.